Everyone on the farm is enjoying this golden weather. The pigs have been basking. The sheep had their feet checked. The grass is still growing and the pig paddocks are nice and dry. 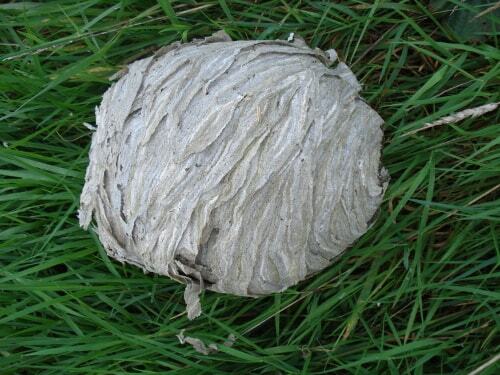 Every September I find a wasps' nest. This year it was hanging just inside the doorway of an ark that has been unoccupied all summer. It was a true thing of beauty, tissue-paper fine and delicately made. I don't mind wasps because they are important in the ecosystem and also clear up any rotting windfalls. Two new young Gloucester Old Spot sows came to join our herd this month, from Wilderness Pigs in South Devon. Maud and her daughter Millie are now in a quarantine paddock for a month. All the other pigs were very interested in the new arrivals and squashed themselves up against the fencing to get a better look. Maud and Millie wasted no time digging up their new paddock and chatting to the sheep though the gate. Portia Pig had her 11th litter this month. She's a lovely mum but this will be her last litter as she's 8 years old now. After weaning she will join our other retired old ladies in their paddock. They have a nice life; a lot of snoozing, treats and straw.